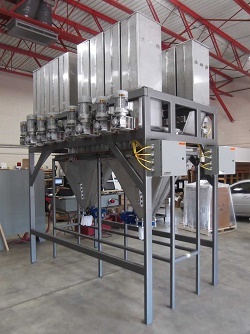 Home » Manufacturer » Sterling Systems and Controls, Inc.
Sterling Systems & Controls, Inc. offers over 40 years of experience in providing efficient solutions for batching systems, micro weighing systems, minor and bulk weighing systems, as well as plant process automation and controls. Using our unique expertise we create customized control and material handling solutions based upon YOUR exact needs, no solution is the same. As a recognized Allen Bradley Systems Integrator and UL control panel builder we offer state-of-the-art technology for process control systems, providing automation and data management of your complete process from receiving through the plant floor to finished products. Onsite start-up and support, as well as remote support, are available 24/7. 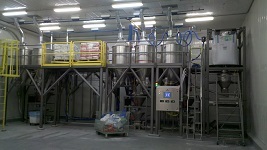 Sterling Systems & Controls is the premier supplier of automated process solutions for industry.